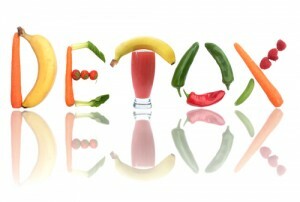 Now that you have a solid grasp on detoxification from a science-based perspective, it’s time to explore your options. Just as foods (processed and heavily sprayed) can be the culprit for toxicity, foods can also be the remedy; the key is knowing which ones to choose. Nutrients such as flavanoids, minerals, certain amino acids and B-vitamins support detoxification pathways that involve multiple organ systems. 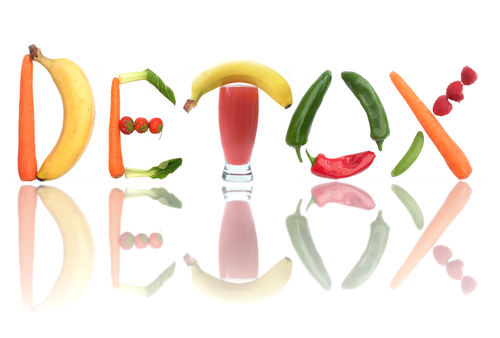 You can support the process of detoxification several ways, one of which is by consuming organic, living fruits and vegetables, fiber and water. Cruciferous vegetables: These have been found to up-regulate (support) detoxification pathways as they contain powerful enzymes that boost detox especially in the liver. These include: broccoli, cabbage, cauliflower, kale, brussels sprouts. Silymarin (Milk Thistle): Helps support healthy liver function. Turmeric: Provides antioxidant support to quench free radicals and help control the unstable intermediate molecules that are a result of Phase I detoxification. Green Tea: Green tea contains beneficial compounds called polyphenols that function as antioxidants. Antioxidants help protect your cells and tissue from oxidative stress. Water: Provides adequate hydration to help flush the urinary and GI (gastrointestinal tract). Without water, detoxification would not be possible! Probiotics: These living organisms help to promote healthy digestion, support natural resistance and replenish beneficial, healthy bacteria that may be depleted as a result of poor diet, taking certain antibiotics, food poisoning, traveler’s diarrhea or poor overall digestive health. The GI system/tract is also the first site of absorption for nutrients and toxins. A well-maintained GI tract will help to protect against foreign invaders. When you put all of this information together, you can see that there are many ways to detox using foods and supplements. 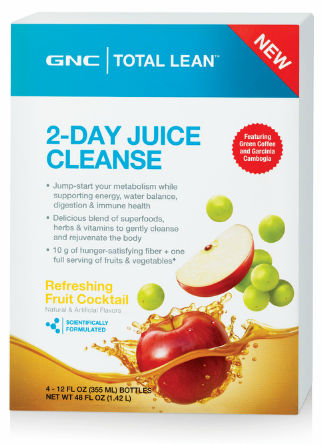 Whether you’re trying a detox for the first time or have done them for ages, one of the best ways to get started is GNC Total Lean™ 2-Day Juice Cleanse. It can serve as a gentle reset for your body or ease you into a more lengthy 10 or 28 day detox.